Whether it really saves you money is debatable, but there is something very alluring about duty free shopping. With almost 15 percent of the global population travelling each year, it is no surprise that travel retail has tripled since 2002! It is also a very important avenue for drinks brands. IWSR statistics show that spirits volumes in travel retail rose by 4.9% in 2017, with growth for almost half of the top 100 brands outpacing that of the category. The same cannot be said for wine, though. According to trunblock.com “Over two and a half times more spirits than wine are sold in travel retail each year – a reverse of the global market situation where wine continues to outsell spirits!” Why would that be? One would think that fine wine and champagne would make for great memento’s and gifts. I am sure Moët et Chandon Champagne and Bottega Prosecco, the most-purchased bubblies at international airports, according to the IWSR’s latest report, will not complain about volumes, but there is no denying that some innovation is required as duty free savings on wine are not enough. Being innovative is all about addressing consumer trends. Perhaps there is something the wine industry can learn from other brands in travel retail. Pop-up brand experiences are great to turn those idling around into brand ambassadors. At both Schiphol and Auckland airports, Bombay Sapphire’s Glass House installations invite guests to a calm within the chaos of the airport. They hear birds and running water, smell different gin flavours via scented vapour droplets in the air and try their perfect G&T. Moët Hennesy did something similar at Charles de Gaulle, introducing James Hennessy Cognac through visual storytelling and tasting. Heathrow Airport has introduced a personal shopping service and personal shopper lounge. At Sao Paolo airport, those with delayed flights can scan their boarding pass and receive a complimentary Kit Kat. JFK Airport in New York City offers a Virtual Reality experience centre where customers pay $1-2 a minute to access curated VR content, exploring imaginary worlds in space. Is your favourite restaurant too far from your boarding gate? If you are flying from Schiphol, you can now settle in at the boarding gate, order your preferred meal via your mobile phone and wait for airport delivery service, Deliveroo, to bring you your order within 15 minutes. WeChat is huge in China and with increasing numbers of Chinese travelling internationally, allowing payment via WeChat is a great move – as cleverly done by airports in Vietnam. Innovative marketing and consumer trends aside, making wine more attractive also requires attention to a few basics. The offer has to bring value, but the value does not have to be in the price. It can be in the packaging, the uniqueness, the story shared by knowledgeable staff, the opportunity to sample. The world of wine is complicated and while staff has to be well-trained to sell both the product and its origin or story, buyers also have to adapt to the fact that the wine offering in travel retail has to appeal to a diverse consumer base. Airport shops provide retailers with the opportunity to create visibility for brands and to test new products. Special offerings increase awareness and loyalty and entice the customer to purchase exclusive products and gifts. 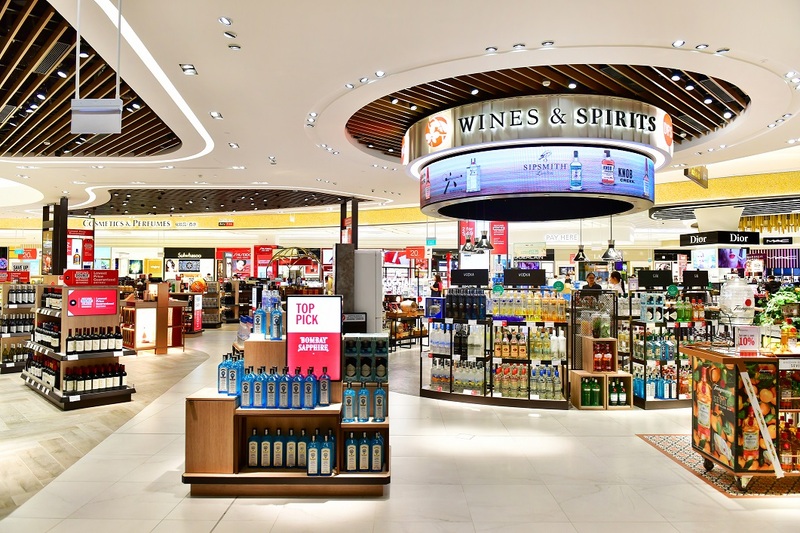 Service brings a point of difference and Dubai Airport’s fine wine and spirits retailer, Le Clos sets the bar with the way its manages relationships with leading vineyards, its multi-lingual buying team and exceptional, personalised customer service. (Read more) Knowing arrival and departure times and with access to information about destinations, travel retailers can offer exceptional service. The information available about customers’ nationalities and flight destinations can also give valuable insight as to whether a product will work in a specific market.